Help Us — Heartland Small Animal Rescue, Inc.
We always are accepting monetary donations through PayPal to help us save pet's lives. Want to automatically donate monthly? Make sure to check the "Make this Recurring" box! Heartland has joined ANIMAL RESCUE AID in goal to help support local rescues and shelters with monetary donations Forgotten Shelter Program and or quality pet beds TheBlueBed Program. 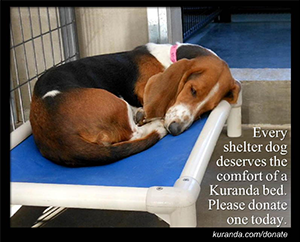 By clicking the links or the ARA image you can help contribute directly Heartland or donate to a pool that ARA will distribute among local rescues. Any contributions are appreciated and will help us give the animals in our care a healthy and comfortable life while they await their Furever home. Rabbit food/Guinea Pig food/Rat Food/Ferret Food/Hamster Food/Bird Food/treats! Fresh vegetables for our small animals are always warmly welcomed!